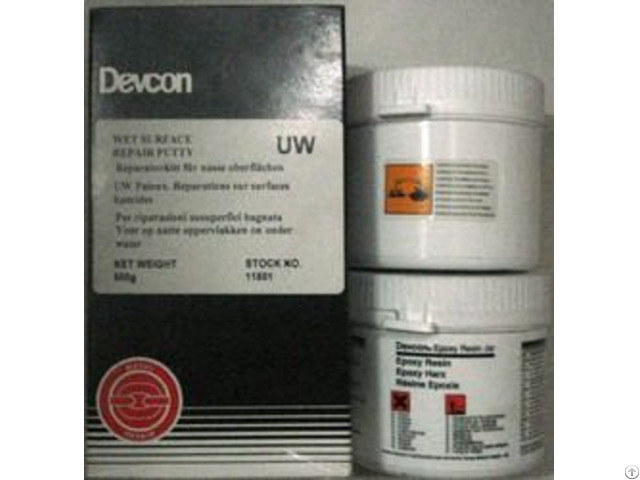 Description : Devcon Wet Surface Repair Putty Makes (effective) repairs to metal, concrete, wood surfaces in wet and dry environments.Intended Use: Repairing and refitting pipes, valves, pumps, and tanks. Repair concrete vessels and piping in wet environments. 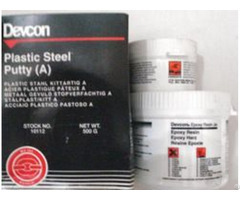 Devcon Wet Surface Repair Putty product will bond to a wet or damp surface. Typical Physical Properties : Technical data should be considered representative or typical only and should not be used for specification purposes. Cured 7 days @ 75 degrees farenheight. 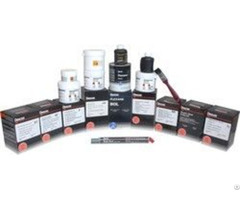 For best results, product should be kept and applied at room temperature. Bronze Putty can be applied when temperatures are between 13 degrees centigrade and 52 degrees centigrade. 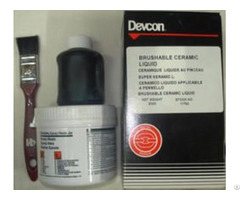 Spread Bronze Putty over prepared surface with a putty knife. Press firmly to ensure maximum surface contact and avoid trapping air. To bridge large gaps or holes use fibre glass, sheet metal or wire mesh. Pot Life @ 75F 45 min. Coverage/lb 68 sq.in./lb. @ 1/4"
Modulus of Elasticity 7.5 psi x 10(5) in. For Underwater or submerged repairs consider the following:- Remove all dirt, barnacles, flaking paint, and algae/seaweed from the substrate.- Wipe area with a clean cloth to remove any film on the surface. Obviously you cannot degrease underwater, but wipingand turning a clean cloth often will remove any film on the surface.- Abrade the surface if possible. (Use mechanical means or a file to accomplish. )- The oxidation can be removed by mechanical means, such as water, grit-blasting, or by chemical means.- Make the repair as soon as possible to avoid surface contamination.